There can be no doubt about the fact that watch lovers around the world owe a debt of gratitude to Walter Lange. After all, he was the man who kept his dream alive for the revival of his family’s watch brand, and waited patiently for his chance, with the fall of the Berlin Wall in 1989, to finally go to Glashütte to make it happen. 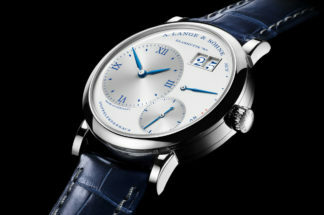 The result of his patience and subsequent hard work against the many early obstacles is vividly celebrated today as the modern A Lange & Söhne that we all love, a brand that produces sublime watches founded on the same philosophy of the brand’s founder Ferdinand Adolph Lange, the great grandfather of Walter Lange. Walter Lange looking at the bust of his great-grandfather Ferdinand A. Lange in Glashütte in 2010. The 17th of January 2017 therefore was a very sad day as attendees to this year’s SIHH were informed in the early morning of Walter Lange’s passing. As the news filtered through the fair, the loss was palpably felt by a broad spectrum of the watch industry, with many stopping at the A. Lange & Söhne booth to sign a condolence book that had been set up, and expressing in their own way, their shock and sadness. With Walter Lange’s passing still fresh in our minds, it is fitting that A. Lange & Söhne would choose to remember the great man with a new watch that comes as a tribute to his memory. That watch, the 1815 “Homage to Walter Lange” comes with a rarely seen complication and in 3 variations of case material as well as a piece unique variation that I will get to later on in this article. 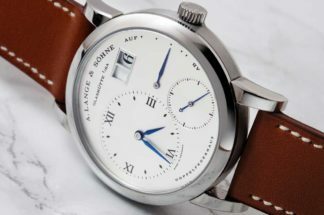 The 1815 “Homage to Walter Lange” comes with the trademark design features of the 1815 line, with Arabic numerals on the dial. Yet even in keeping with the classical presentation we’ve come to expect from this collection, the watch comes with a complication that is in some ways, quite unexpected. On the dial we find a small seconds subdial at the six o’clock position, with a normal sweeping seconds hand making 6 small steps in line with the beat rate of the movement at 21,600 bph. The new complication of this watch and where we find it’s surprise comes from the large blued central seconds hand, as well as the little pusher that on the case at the 2 o’clock position. 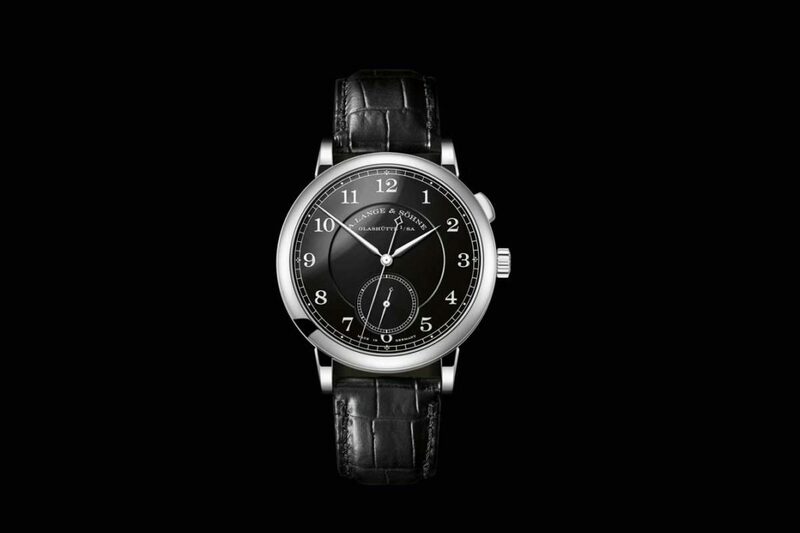 This central seconds hand, unlike the former at the 6 o’clock position is instead a dead-beat seconds complication, something that we’ve seen before in the Richard Lange Jumping Seconds. What this seconds hands does is jump once per second, “ticking” in the same manner as a quartz watch but achieving this effect mechanically. The pusher at the 2 o’clock position is the additional surprise, because it allows the large central seconds hand to be immobilized and started at will, essentially turning the watch into a 60 second chronograph. Of course it is not a full chronograph as there is no second pusher to reset the large seconds hand to zero, but it is still useful all the same, and keeps to the essential purpose of the dead beat seconds complication; accuracy in reading time to a resolution of one second. The “regular” versions of this watch come in 3 variations of case material with the limitation for each as follows, 145 pieces (white gold), 90 pieces (pink gold) and 27 pieces (yellow gold). These varying limitation numbers might seem rather random but there is a meaning to them for they either represent the intervals between key moments of the brand’s history though the years that all occurred on the 7th of December, (on the 7th of December 1845, the brand was established by Ferdinand Adolph Lange, and 145 years later on the 7th of December 1990, Walter Lange registered the new Lange Uhren), as well as the important year, 1990 (for 90 pink gold pieces). Today on the 7th of December 2017, we have a 27-year interval between 1990 and 2017 (representing 27 yellow gold pieces), which is the date that the 1815 “Homage to Walter Lange” will be presented. Additionally, the calibre number, L1924 recalls Walter Lange’s birth year, 1924, and the first 3 digits of the reference number 297, recall his birth-date, the 29th of July. Also being presented on the same day is a special version of the watch that comes in a case material that one does not normally associate with A Lange & Söhne: stainless steel. Indeed, while it is well known that the brand only produces watches in precious metals, it is not so well known that a very small number of Lange watches have been produced in stainless steel. 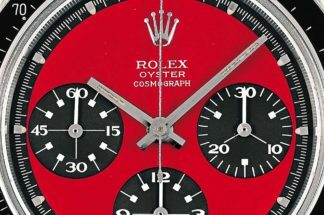 These rare watches have not been officially acknowledged by the brand and it is rumored that about 20 pieces have ever been made, primarily Lange 1’s with silver dial and blue hands or another variation with a black dial. These stainless steel Lange’s have been the stuff of legend, inflaming the auction market whenever they are offered. In fact a silver dial with blue hands Lange 1 fetched $154,000 when it was offered at Christies in 2013, with a Double-Split (the only known stainless steel piece in existence) fetching $501,000 in the same year. Against this background, it is easy to see why the 1815 “Homage to Walter Lange” in stainless steel will be a very interesting piece indeed. As a one-off unique piece, it is something that collectors will definitely be interested in. 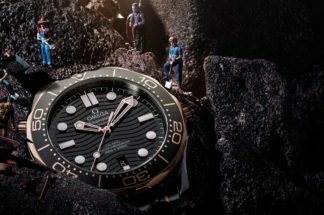 Interestingly, this is a watch that one cannot buy outright; instead it will be auctioned off in 2018, with the proceeds going towards a charitable purpose, a gesture that Walter Lange himself, a man noted for his philanthropy, would have approved of.